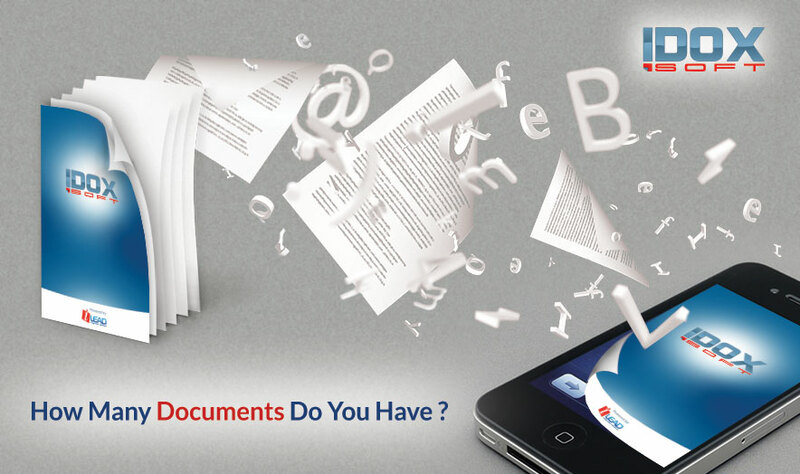 Document Management System is a solution that helps businesses manage documents in digital format. Think of an organization that has tons of paper based documentation and uses warehouses to store these documents. Let’s imagine for a minute that this same organization has to retrieve a crucial document that dates back 10 years; they would have to locate the document in their storage and ofcourse if they have a proper file system they might manage to locate the document but the time and resources that will be used would gravely impact the operational capacity and efficiency of the organization. In order to tackle this operational bottleneck in any organization the concept of document management has been introduced. Currently many organizations are using these DMS systems to convert their paper documents into digital format. The market is concentrated with all sorts of DMS each with unique features but with iDOX you get them all in one single package. Let’s take the example of banking industry and how the iDOX Document Management System helps them in minimizing operational expenses and develops a gradual positive impact on efficiency. I distinctly remember 10 years ago when I had to submit my salary cheque in the bank and wait for 1-2 weeks for it to be cleared. Now however the situation is different and this whole procedure takes a maximum of 2-3 days. This cut down on time is because of the introduction of Document Management System or a module of DMS in Banking Software. Everyday millions of paper based documents are used in banks all over the world. These paper documents can range from cheque, account opening forms, demand drafts and even account statements. It would be very difficult and costly for any bank to hold that much paper and maintain it. So what they do is quite simple, they hold the paper based documents for a specified period of time and then convert it into digital format and store it electronically. Banks can hold legacy data for an infinite number of years on different servers. Ofcourse the servers require maintenance and you must be wondering how it is any different form a paper based document warehouse. The answer is simple, only a few servers will be required to hold huge amounts of data with little maintenance. Moreover document management systems like iDOX have cloud server capabilities and you can get secure hosting. You won’t need to buy the IT infrastructure, simply get an economical hosting package for iDOX DMS. Now let’s discuss the value for money that iDOX document management system offers the banking industry. The bank will cut down on costs associated with paper and they will be able to recycle and reuse it, then the blazing fast speed of accessing and tracking different documents, more data storage at limited cost, space and negligible maintenance. Increase in operational efficiency and reduced time for all banking procedures. iDOX Document Management System is already deployed by several banks in Middle East and several government organization are also using it to manage their documents. Banking used to be a hectic task both for the bank employees as well as the customers availing their service but this was true only in the 90s. Now this has evolved into quick processing because of automation and the use of document management system. Cheques are processed in a matter of days whereas when there was no automation it would take weeks. Also banks can hold legacy data for many years on servers without ever losing a single document. iDOX DMS has provided banking industry with all these advantages. This idea is actually working especially in the changing world of today. We need it in Africa too.